I have an non-root account on a shared server which has an old version of a package available to all users, and I want to use a newer one on my account. I cannot just use $TEXINPUTS, because latex finds the shared version first. How can I get latex to use my version? By default, local packages are expected to be in ~/texmf, not ~/share/texmf (they are expected to be in ~/Library/texmf on a Mac). So try putting your new version of the package in ~/texmf/tex. This directory should be found first when latex searches for packages. ⁃  put documentation files from packages installed in the tex directory here. For example, suppose you have the new package cool-new-package. If it's a latex package, the package will come with (at least) a .sty file, and some documentation files (often a .tex and .pdf version). You would create a directory in ~/texmf/tex/latex called cool-new-package and then put cool-new-package.sty there. You would also create a cool-new-package directory in ~/texmf/doc and put the documentation files there. 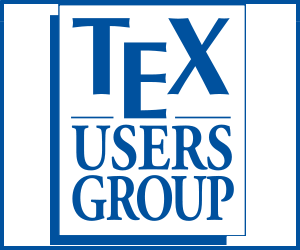 Note that in a brand new installation, a local texmf folder is not created and you will need to create one if one doesn't exist. Not the answer you're looking for? Browse other questions tagged installing texinputs or ask your own question. How to specify the path for a package? How do I add a .sty file to my MacTeX/TeXShop installation? How to install Beamer in Mac OS X lion? LaTeX can't find my .bst file. How do I show it the way? How to organize properly my LaTeX document files created in TexLive 2012 (on Windows 7)? Did I install a package successfully?